Guru Randhawa also known as Gursharanjot Randhawa is a very popular singer and a songwriter from Punjab, India. Guru Randhawa was born on 30 August 1991 in Noorpur, District Gurdaspur, Punjab, India and he is 27 years old. 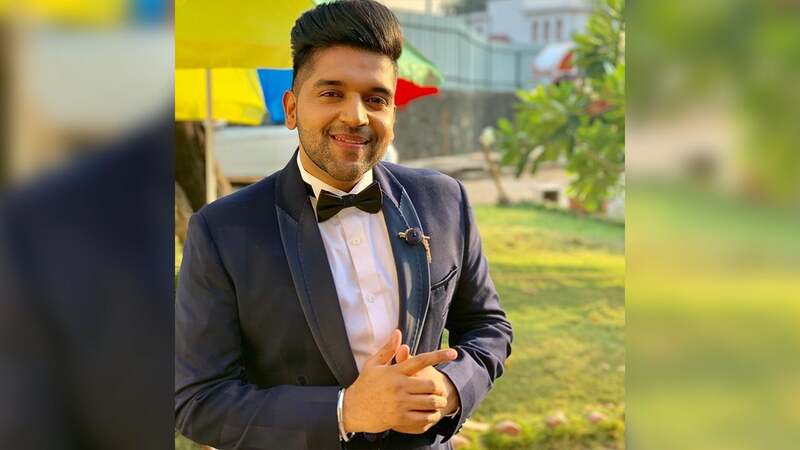 Guru Randhawa mainly works with the Punjabi Music Industry. Guru is one of the best and the leading Singer in Punjab. He came to the fame with his song High Rated Gabru which has over 595 million views across the youtube. He released his first album Page One and his singing debut Chhad Gyi in 2013. Guru is also a very famous songwriter, His first written song was the Same Girl in 2012. Some noted songs of Guru Randhawa are “Ban Ja Rani, Lagdi Hai Thai, Suit Suit, Taare, AK 47, Patola, Outfit, Fashion, Khat, I Like You & Southall” etc. When Guru was at school, he always wanted to become a singer and he used to participate in school singing competitions. He began to learn music by watching TV and listening to famous singers. He continued to practice music, but his first preference was to finish his education. Guru Randhawa has given a lot of stage performances in India and abroad. He became famous because of his single track Patola (2015) with Bohemia as well. Guru Randhawa has completed his Masters in Business Administration from IIPM (Indian Planning and Management Institute) in New Delhi, India. Although he has an MBA degree, his first love was singing and he had practiced music for over fifteen years. After completing his studies, he decided to pursue his passion. The debut of Guru Randhawa in writing and singing was “Same Girl” (2012). He came later with another track, “Chad Gayi” which gained more fans. Some of Guru’s popular songs are “Patola, Khat, Outfit, Yaar Mod Do, Tu Meri Rani, Suit Lahore, High Rated Gabru, Yaar Mod Do and Suit Suit”. Guru also has an album to his credit named that is “Page One”. In 2017, he made his Bollywood debut with the film “Hindi Medium” starer Irrfan Khan and the song was the remake of his song ‘”Suit Suit”. In 2017 he also appeared with singer Kanika Kapoor in the “T- Series Mix Tape”, where they recorded the mashup of the songs “Ambarsariya” and “Suit Suit”. Guru has also performed at the opening ceremony of IPL. Guru is not only famous for his singing, but also for his songwriting talent, good looks, and a mesmerizing smile. Guru launched his first album-Page One in 2013. Guru attained the stardom and desired fame with the Punjabi song “Patola” featuring Bohemia. In 2017, his song ‘ High Rated Gabru’ won the fastest 100 million views in India for a non- film song. He has a habit of listening to the music before going to sleep. Guru Randhawa won the PTC Music Awards for Best Debut Male (2014) and the Patola Best Duo Song PTC Music Awards (2016). In 2017 the News 24 Channel also awarded him with the Youth Icon Award. In the INK Cricket Blast 2017, he played the charity match for cancer patients along with many other celebrities. These were the latest information about Guru Randhawa Biography, Age, Height, Weight, Girlfriend, Caste, Wiki & More. Please do share guys this post with your friends and keep visit on NamesBiography.com for Indian celebrities biographical updates. You may share your experience or any kind of suggestion with us by leaving a quick comment below. Thank You!